The proud Israeli sabra is slowly giving way to undeniable Western business wisdom: service with a smile brings in more tourism dollars. The proud Israeli sabra – sharp on the outside but sweet if you manage to get in – is slowly giving in to the undeniable Western business wisdom that "service with a smile" brings in more tourism dollars than that traditional "prickly" exterior attitude. In Jerusalem's Zion Square, in Tel Aviv, and even in small towns, business owners are learningt foreign tourists are slowly losing patience with the notorious brusque Israeli attitude they sometimes encounter when making their purchases. Consumers today are able to walk away and find what they want, whenever they want it, elsewhere if they choose, and Israeli business owners are taking note. 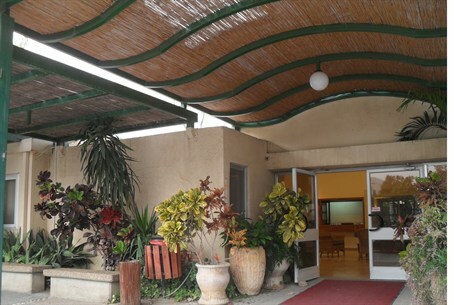 The new attitude was especially evident this week at the Ein Gedi Hotel, where Reservation Department Manager Helen Annau faced the delicate task of explaining to an irate guest why she could not accept a shekel payment for a room in lieu of charging a credit card that had already been debited online. Annau guided the guest with a list of complaints to a comfortable sofa in the lobby and took notes on every single problem, responding to each one. At the end, a soothing remark, a sincere apology, an honest explanation of what she could not repair, and a credit in the form of dinner for four went a long way toward pouring oil on troubled waters. The problem of misleading booking sites online is one that faces not only the Ein Gedi Hotel but many other hotels in Israel as well, because the booking sites are more savvy about grabbing market share through the Internet. If someone is looking for a hotel in a specific place, and they simply enter that phrase into the Google search engine or any other site that looks for hotels, most of the time a booking site will come up. The reason is simple – booking companies pay search engines to place their websites at the top of the page. The customer never knows the difference, and believes it is the hotel's reservation desk. The problem with this arrangement is that in the end, everyone loses except the booking agent. The guest becomes angry at the deception and sometimes ends up with an unplanned charge on a credit card. The hotel ends up with an angry, disillusioned guest, not to mention the delayed payment on the room and possibly the loss of a return customer. Equally problematic is the potential financial loss to the State of Israel in terms of lost tourism dollars. To deal with these issues, the skills needed to provide customer service to stressed-out tourists by tour guides, hotel staff and anyone else working in the hospitality industry are no longer optional. Tags:Ein Gedi, hotel statistics, tourism.